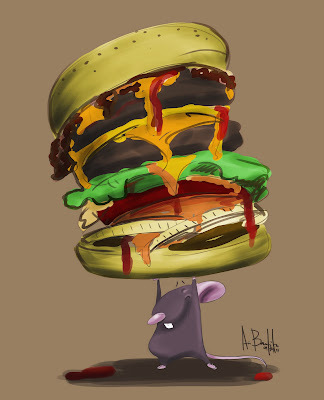 Doodle 067: Double Bacon Cheeseburger, Please! I just had the biggest burger ever!! Hodad's double bacon cheeseburger in Ocean Beach. It was ginormous! Hey you drew something cute!